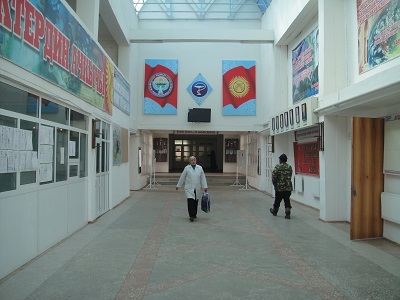 Osh State University is a government-owned medical institution located in the city of Osh, capital of south Kyrgyzstan. It came into existence in 1992 and originally called the Osh State Pedagogical Institute. Specialities offered by the University are in General Medicine and Pediatrics. 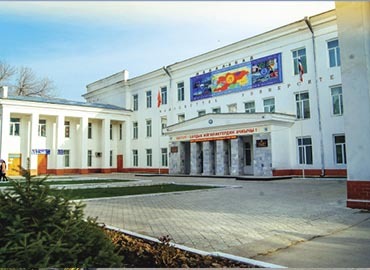 OSU is considered to be among the Top Medical Universities of Kyrgyzstan. Pursuing MBBS from Osh State University is a great pleasure for the international medical aspirants, especially Indian students; because of its advantages during the entire duration of studies. 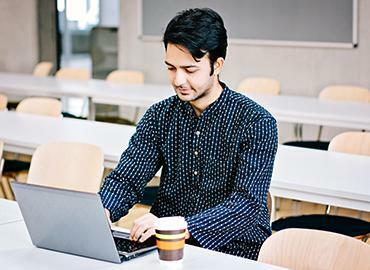 Osh State University offers the degree of MD (equivalent to MBBS in India). It is accredited & approved by the Medical Council of India (MCI), Educational Commission for Foreign Medical Graduates (ECFMG) in the USA, International Medical Education Directory (IMED) and enlisted with World Directory of Medical Schools (WDOMS). Students will have the liberty of practising their medical career from any country after clearing the licensing formalities of that respective nation; like Indians can appear for MCI Screening Test or FMGE (Foreign Medical Graduate Examinations). Upon clearing the MCI Screening Test, students can get the provisional or permanent registration from MCI or State Medical Council to practice their medical skills in Indian Hospitals or Medical Institutions or even, in their Personal Practice Clinics. From the time of its existence, the University has trained a huge number of international students from more than 20 countries. 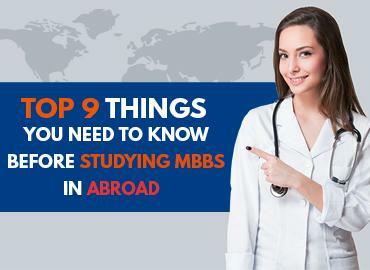 At present approximately 3,000 foreign students are studying MBBS at the University; coming from various countries like India, Nepal, Palestine, Syria, Turkey, Iran, Uzbekistan and Turkmenistan. For their convenience, medical education is delivered in the English language. The clinical hospitals associated with Osh Medical Institute are equipped with modern facilities, in order to train students for a high paced life in future and become a successful Doctor. In particular, all sorts of diagnostics thermo-vision, Angiography, Endoscopic technique, Hyperbaric Oxygenation, Laser Therapy, Modern methods of detoxification and many other techniques are widely used. Osh State University is known for maintaining its high standards of academic excellence and institutional integrity. Post Graduate and PhD in a wide range of specialities. Osh State University provides an excellent accommodation facility to its students, concerned more towards international students enrolled at the University. It is quite active in helping students to make required adjustments in their life at the University campus. Housing properties are absolutely safe and undertake security measures to provide a conducive environment to the students. They are well-equipped with all the basic amenities necessary for comfortable living & better hygiene. Life at Osh State University or in the city is an amazing experience for all the students pursuing MBBS in Kyrgyzstan. University has a gymnasium and a cultural centre that offers brilliant opportunities to all the students and encourages them to get active in sports & participate in cultural activities like drama, theatre, vocals, dancing, folk, etc. that are being organized in the campus. Osh State University is quite regular in conducting various health & recreation camps on the picturesque Issyk-Kul-Lake. The University has a vast library comprising of more than 60,000 medical books and international scientific journals. The campus of the University offers a stimulating, multicultural ambience and a chance to meet, learn and collaborate with other students; coming from diverse backgrounds. 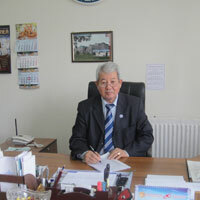 The university offers an exciting environment for students to study in Kyrgyzstan. The second largest city of Kyrgyzstan located in the Fergana Valley in the South of the country and often referred to as “Capital of the South”. 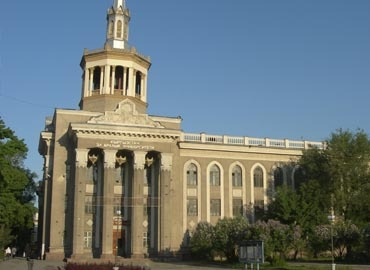 Osh is an ancient city in the country and has been serving as an administrative centre of Osh Region since 1939. The city is among the oldest settlements in Central Asia. The economy of the city relies on Agriculture, Plantations, Construction & Infrastructure, Coal Mining, Oil & Gas production and Metal production. Osh features a continental climate with hot & dry summers and cold winters. Main attractions of the city are Sulayman Mountain, Pamyatnik Lenina, Lenin Peak, Kyrgyz Ata National Park, Osh Animal Market, Mosques, etc. Beshbarmak is the famous cuisine of Kyrgyzstan as it is the National Dish of the Country. Other popular food served in the cities is Zakuski, Borscht. Osh has a vast chain of popular restaurants like Vinoteka, Frunze, Salam Namaste Indian Restaurant, Host Indian Restaurant, etc. The city has multiple options for local transportation like buses, bike rentals, shared taxi, jeeps etc.